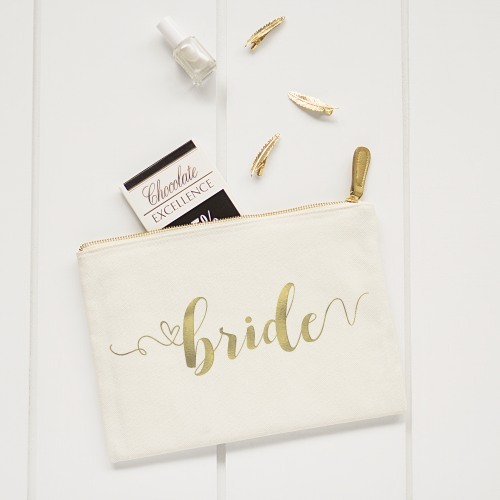 Every bride needs her beauty essentials on her wedding day, and this bridal party pouch makes it easy to keep those essentials in arm's reach. The bag itself is made of canvas and features faux leather accents, a zippered closure, and the printed word "Bride" in script font. Perfect for keeping lipstick, mascara, and other beauty needs by her side in style.